China's unexpected move to allow the yuan to trade more freely is a step the right direction, but additional measures need to be taken, according to the International Monetary Fund. The policy change is "a welcome step" that should allow market forces to play a greater role in the yuan's development, the IMF said in a statement. "Greater exchange rate flexibility is important for China as it strives to give market forces a decisive role in the economy and is rapidly integrating into global financial markets," the IMF said. China's central bank generally sets a daily midpoint for the yuan, around which the currency can move up and down within 2%. 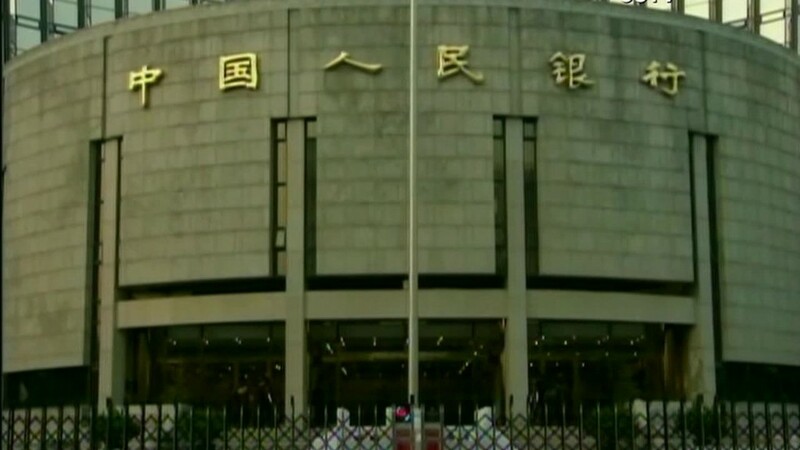 But on Tuesday, the People's Bank of China surprised markets by announcing that going forward, the midpoint will be based on the previous day's closing price. The world's second-largest economy has historically tightly controlled its currency, which has helped boost trade and spur growth. But over time, the government has loosened its grip a bit -- for example, last year, it doubled the allowable trading band for the yuan. China has long hoped that the yuan, also called the renminbi, would eventually become an international reserve currency, and possibly even an alternative to the U.S. dollar. China has also pushed for the yuan to be included in the IMF's Special Drawing Rights basket, an elite group of currencies used to value reserve assets. The current mix includes the dollar, euro, British pound and Japanese yen. The IMF is currently reviewing the yuan for possible inclusion, and official results are expected later this year. The yuan failed a previous IMF review in 2010 to join other currencies in the SDR basket because it didn't meet the organization's criteria for the currency to be freely tradable and convertible. It's unclear what the IMF will decide this time around -- while the Chinese government has made some moves for a freer exchange rate, it does still impose capital controls. The IMF has said that China's announcement this week won't impact its campaign to be included in the basket, though a more market-oriented exchange rate will facilitate operations if the yuan does win inclusion. The IMF also took the opportunity to again call for China to "aim to achieve an effectively floating exchange rate system within two to three years."